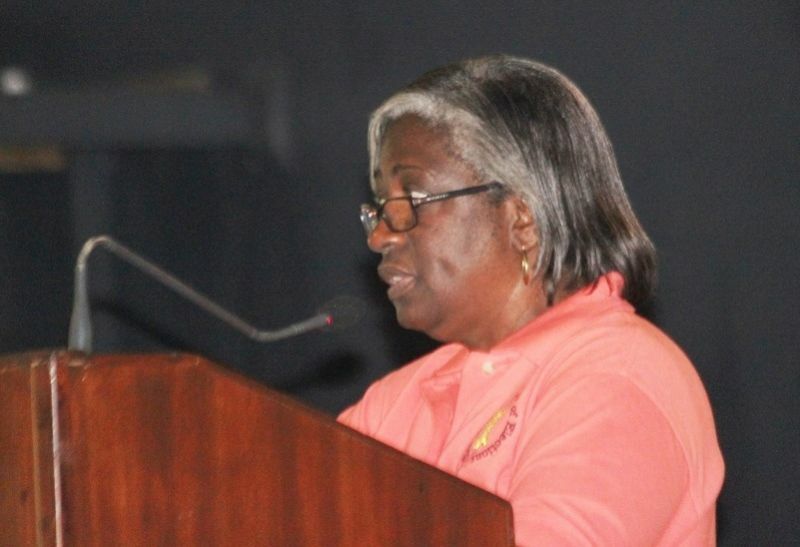 The territory went to the polls yesterday June 8, 2015, a month and two days after Premier Dr The Honourable D. Orlando Smith announced the date for elections at a rally in Road Town on May 6, 2015. Penn said the final official result will be released by the Elections Office in due course. “The person elected in the 2015 general elections are in the First District Andrew A. Fahie with 652 votes, in the Second District Melvin ‘Mitch’ Turnbull with 600 votes, in the Third District Julian Fraser with 596 votes, in the Fourth District Mark H. Vanterpool with 717 votes, in the Fifth District Delores Christopher with 519 votes, in the Sixth District Alvera Maduro-Caines with 765 votes, in the Seven District Dr the Hon Kedrick D. Pickering with 607 votes, in the Eight District Marlon A. Penn with 943 votes and in the Ninth District Dr Hubert O’Neal with 669 votes,” she said. 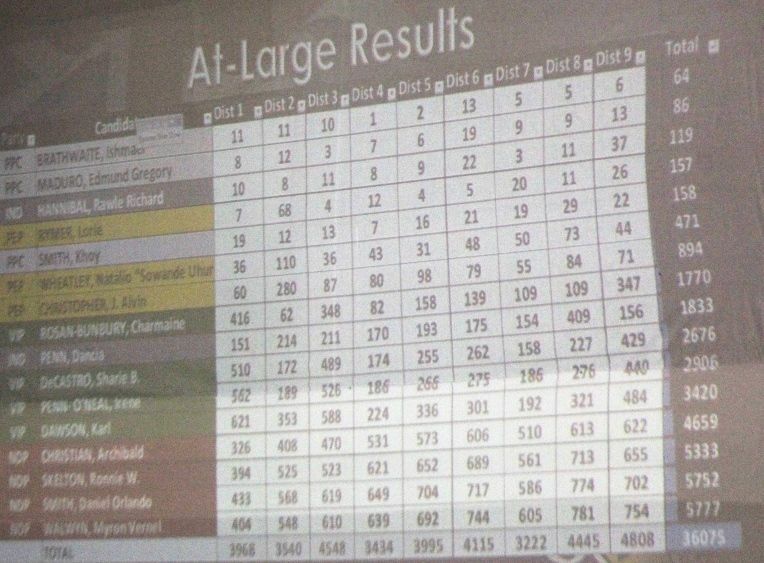 Penn said those declared for the Territorial At Large seats are Myron V. Walwyn with 5,777 votes, D. Orlando Smith 5,752 votes, Ronnie W. Skelton 5,332 votes and Archibald C. Christian with 4,659 votes. leadership matters, leadership matters !!!!! This election was about money. And yes NDP showed they got lots of it. I never see so much contracts being given out in one month and money passing be careful of the trends you set. God's hand would not have been involved in all those hand out of monies that passed in the last few days of election, his hand could not have been involved in it when people were threatened if they did not vote NDP. Those are little examples. His kept a shield on it I agree because in the end his hands would have allowed the part we wanted. Watch the hands of God in entirety as we move forward on our journey. Something is not right in our country and we need to keep in prayer with God and pray earnestly for our country and not pray selfishly. It wasn't called obeah in the Bible but it still was. And even though Moses was eventually successful down in Egypt, he still had it to contend with done by Pharoah's sorcerers. These fellows obeah strong yes, but gradually it too will be wiped out. Please. Don't be fooled. Their hands ARE dirty. Extremely. If their obeah is strong God mercy is stronger. Remember he does not like ugly and if any went on during this election then there will be a lot of punishment to come.BVI needs prayers as Myron said and it seems you all didn't do much so now it is time for the healing process to begin and with a lot of prayers too. Go NDP go. Enjoy your day. There is a brighter tomorrow. To all the NDP haters, they are back in power, what is your story now? HELLO!!!! Congrats to the NDP for winning, which I think they ultimately should have, but I'm still hesitant about some of the district results. Strong candidates on the VIP were beaten to badly, in my opinion.